While I agree with the statements you make about the end of episode 5 being somewhat ‘cheap’, I’m going to jump into action with rampant fanboyism to defend the end to Ano Natsu, and writing like that in anime in general. Personally, I feel that there are some anime and some stories that don’t really NEED the ultimate tragedy to stick, and some that do. Ano Hana, for instance, is one that I would say needed the tragedy at the end–the entire anime was about maturing, accepting things that you can’t change, and that no one person was free of blame or had to shoulder all the guilt themselves. If that anime hadn’t ended the way it did, it would’ve cheapened what the characters and, by extension, the audience had been ‘taught’ throughout the series. Ano Natsu, I feel, was different. The characters, Kaito especially, did need to accept what had happened and move on at the end–which they did, as we can see in the last few minutes. But throughout the series, a lot more emphasis was placed upon personal and emotional honesty, and, in my opinion, on really remembering the events that shape our lives. Retracting the tragedy at the end of the series really added to that–while we obviously can’t expect holding on to memories to save us from all the bad stuff in the world, it allows us to question what would’ve happened if Kaito had given up, forgotten and moved on entirely. If he had done that, he–and we–could’ve lost out on that part of a happy ending. In addition, showing that part of the ending in the movie expresses the value of remembering parts of our past, even the ones that hurt, in that it gives us higher ground to stand on as we move forward. 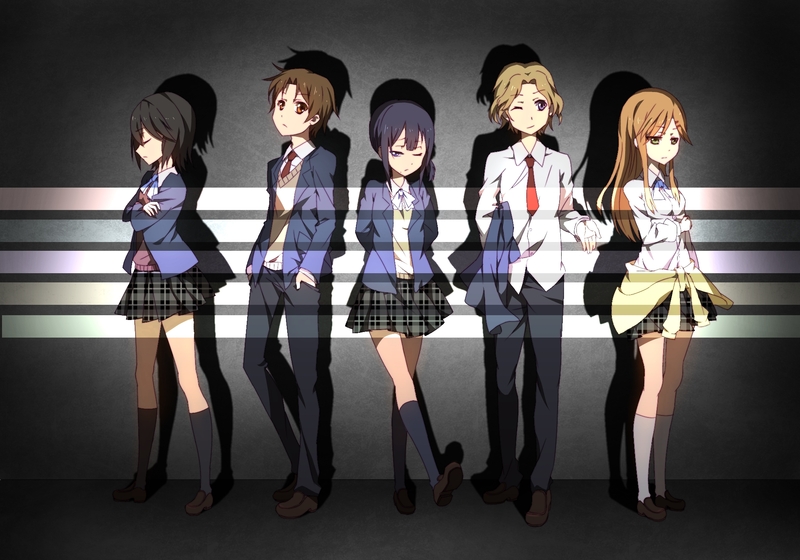 Episode 5 of Kokoro Connect, I think, falls somewhere in the middle. We didn’t need the tragedy for the characters to experience what they did and grow because of it, and we got to see all of that regardless, but like you said, the experience is somewhat ‘cheapened’ because of that. Overall, I think it was the better choice, and the gains from the decision heavily outweighed the losses, but it’s still an issue nevertheless. Wow that comment is ugly. I’ve disagreed with this from the very beginning, because I think the fact that the anime presents his messianic tendencies as a wall in his way of getting what he wants is basically writing on the wall to foreshadow his growth as a character. Maybe it was intended to be otaku bait, but Taichi was sharing his most dangerous secret that would have costed his social life, and he decided to take that risk. And alas, Inaba’s confession in turn with mischievous smile, that was the most astoundingly awesome scene I’ve ever seen in my life, I mean a girl confessing to her okazu that “I’ve made you my okazu” is unheard of. Yes, Inaba is very forward. How I wish 3D girls were more forward about their sexuality! Fuusen-kazura is kinda Lemon-senpai from AnoNatsu, but meaner.